Stallion is known for his one of a kind delivery and clever punchlines. Rapping since a young teen he’s perfected his craft to the level most consider him the best kept secret in the game. 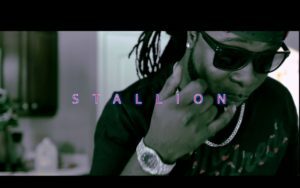 Stallion also adds another dimension to his music with his melodic sound and soulful singing that hypnotizes the ladies. The more you indulge in what Stallion brings to the game the more he’ll make it clear to you that he’s the best artist alive!